1.1. The promoter is Colliers International (WA) Real Estate Management, A.B.N No 26 791 928 513 as legal representatives of participating shopping centres. 2.1. Competition will commence 5:00pm (AWST) Wednesday 29 June 2016 and concludes at 9:00am (AWST) Monday 25 July 2016. 2.2. Three (3) winners will be drawn and each winner notified by email &/or mobile phone call. 2.3. The first name drawn will win the First Prize, the second name drawn will with the Second Prize and the third name drawn will win the Third Prize. 2.4. Three (3) winners will be drawn at random on Monday 25 July 2016. 3.4. 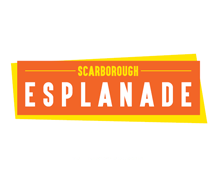 Entry is available via http://www.scarboroughesplanade.com.au between Friday 1 July 2016 and removed at 9.00am (AWST) Monday 25 July 2016. 4.2. One (1) winner will receive the Second Prize comprising one (1) prize pack of a $150 voucher to the Matisse Beach Club Dining Room at the conclusion of the promotion. The prize is subject to booking availability. 4.3. One (1) winner will receive the Third Prize comprising one (1) prize pack of a $150 voucher for Cordingley’s Surf at the conclusion of the promotion. The Third Prize cannot be used on discounted items. 4.4. The prize is to be accepted in good faith and will comply with regular rules of use. 4.5. The competition is not open to retailers, tenants, staff or any affiliates with property management, or the property owners. 4.6. Each prize will be sent by registered post, via Australia Post, or email where an e-voucher is available. 4.7. Colliers International (WA) reserves the right to exclude any person from this promotion for any reason whatsoever, at any time before, during or after the competition period.